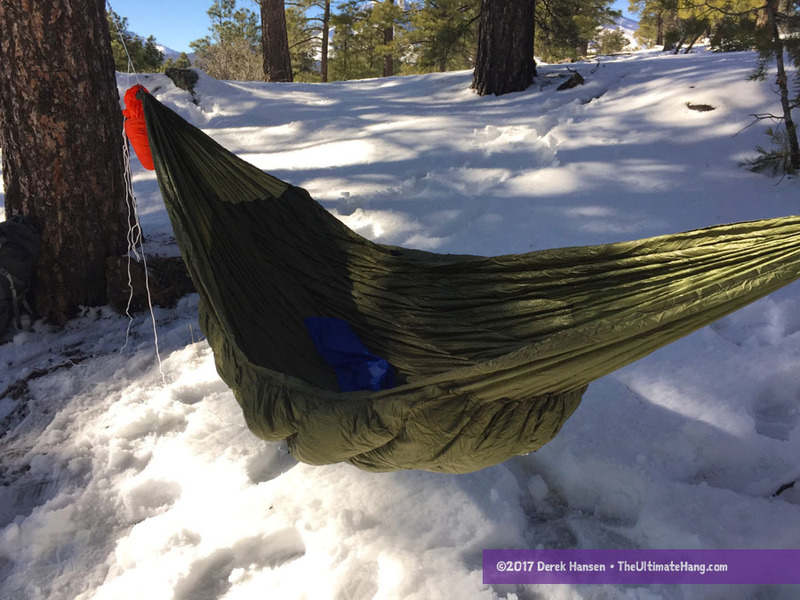 The Warbonnet Outdoors Wooki underquilt is a full-length insulator for the bottom of a hammock, replacing more difficult to use pads as a means to stay warm in a hammock, especially for sleeping. 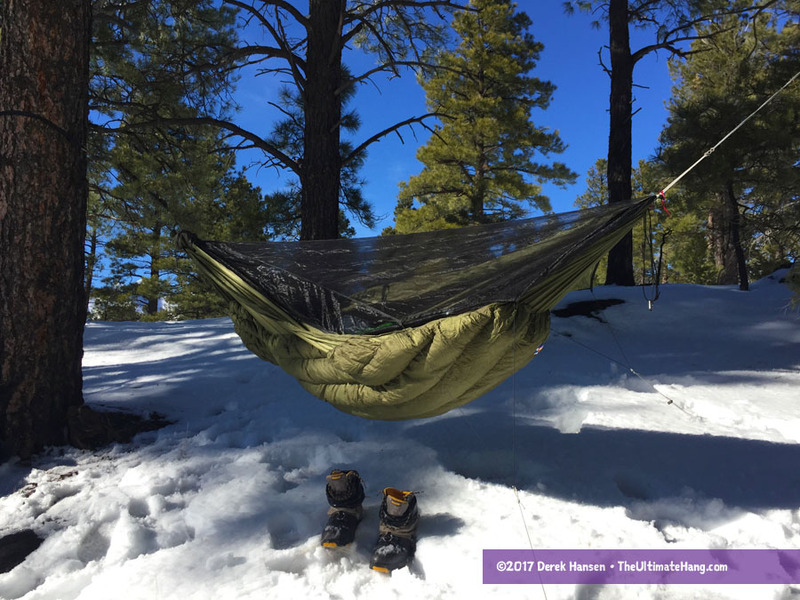 The underquilt is specifically designed for the Blackbird, Blackbird XLC, and Traveler hammock models that Warbonnet makes. The Wooki is essentially an underquilt sewn onto an open, gathered-end hammock that then attaches to the underside of another hammock. 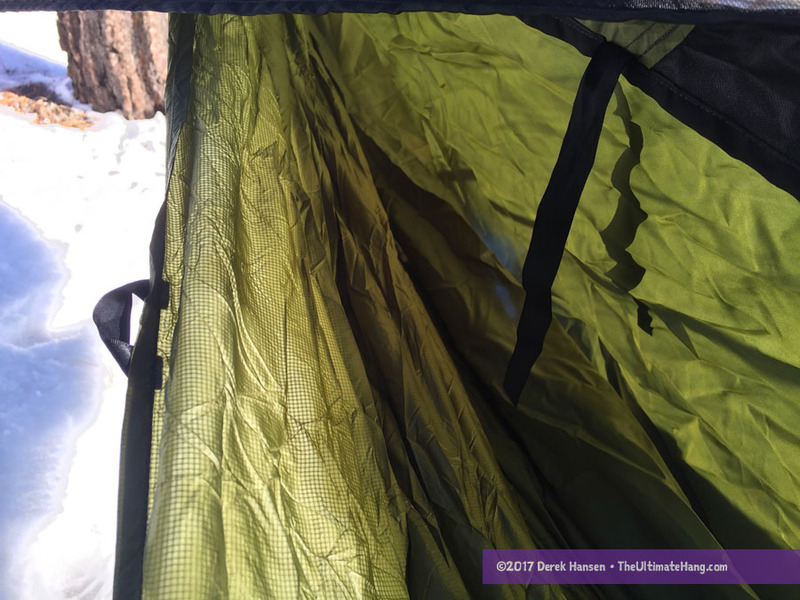 This allows the underquilt to completely cover the bottom of a hammock while only insulating the area under you. The extra fabric helps to completely seal the underquilt beneath the hammock, preventing heat loss. The design also helps orient the under quilt in a diagonal angle and stays in place no matter how you toss and turn. According to Warbonnet, the insulated area is approximately 44 × 76 inches that tapers towards the foot end. Because the insulation is attached and pre-angled, it doesn’t require any adjustment, nor can you make any adjustments. Everything on the quilt has been pre-set. The head end is marked with Warbonnet’s “made in Colorado” patch. 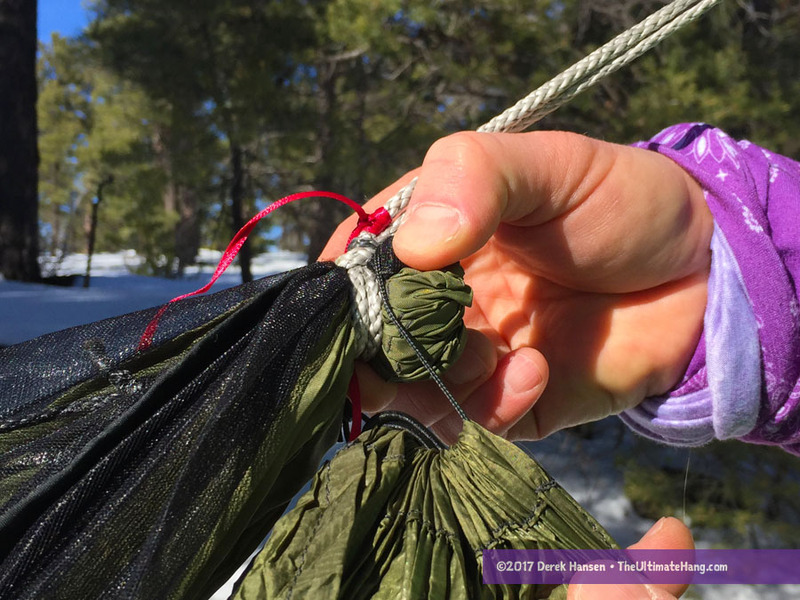 On the head end, the underquilt “shell” is gathered with a small piece of line that is used to hook over the end of a Warbonnet hammock. 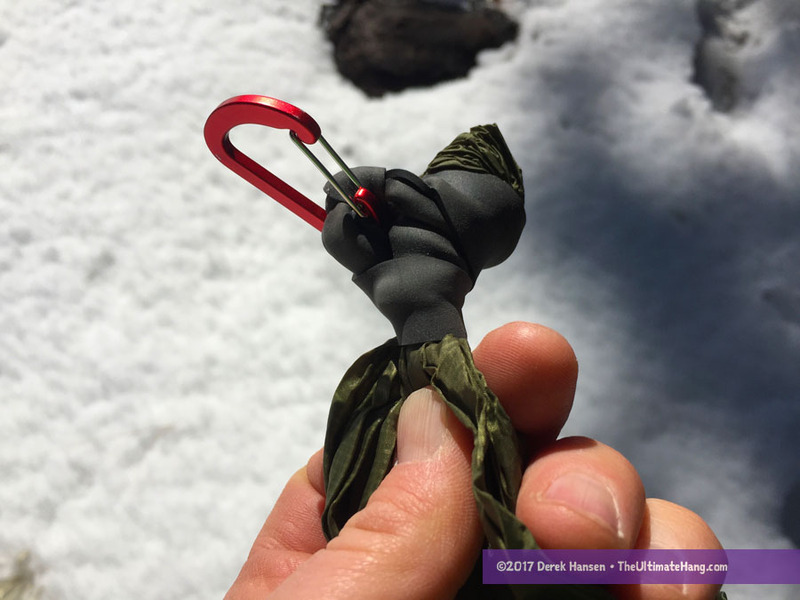 The foot end has a thick piece of rubber tubing and a mini carabiner that serves as the attachment point and stress release. 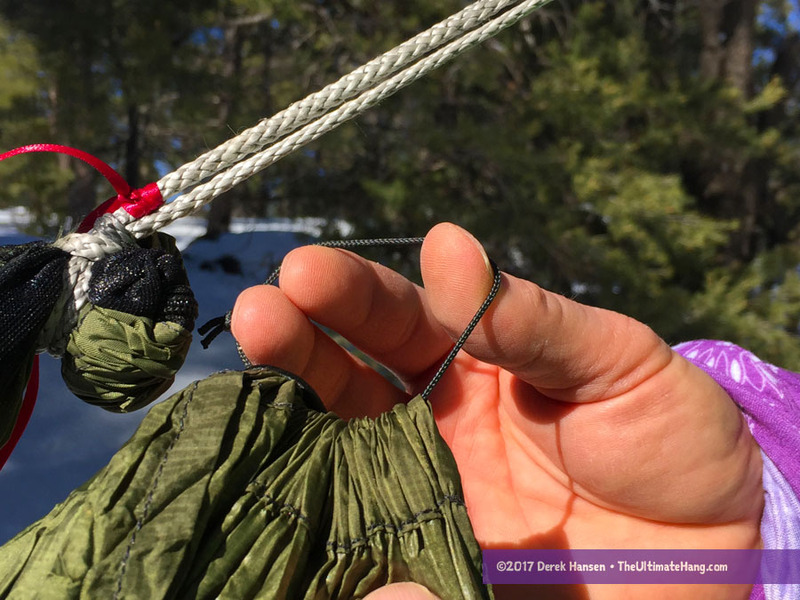 There is a loop sewn on the right side of the quilt that can be used to tie off to a corresponding tie-out on the Blackbird hammock models. The underquilt features a dual differential cut baffles with 20D DWR ripstop nylon shel and is overstuffed with 850 fill Activ-dry DWR goose down. 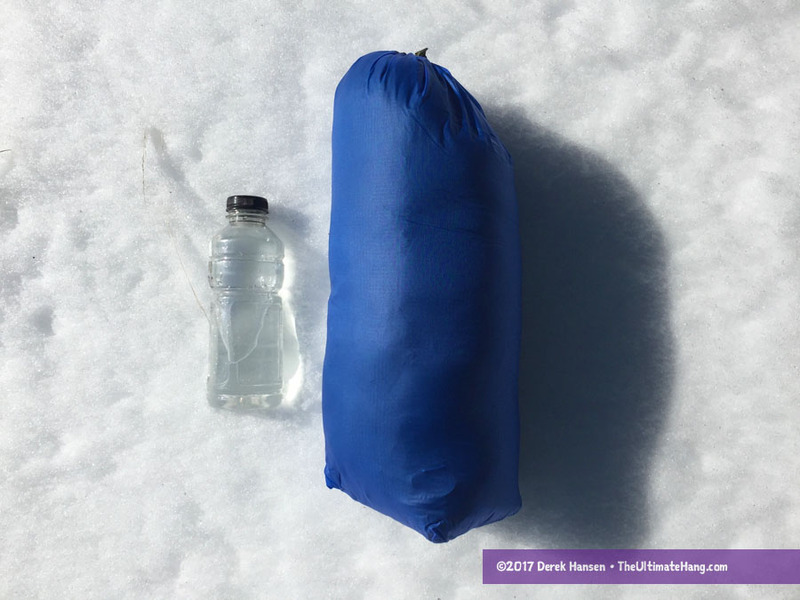 The underquilt was delivered in a silnylon stuff sack. Warbonnet sent me a 0°F-rated, normal size quilt to match the Blackbird I have. The set-up and installation is easy, and nearly foolproof. 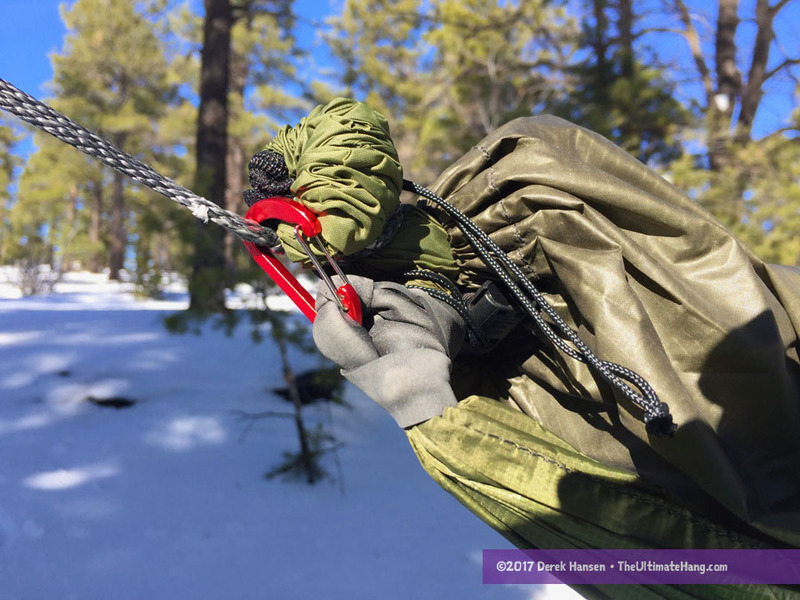 The Colorado patch isn’t the easiest to see when setting up, but finding the ends also makes it easy to orient: the rubber side is the foot side. I love that the quilt is pre-oriented and ready to use out of the box. One of the challenges with traditional underquilts is that they regularly require “fiddling” to ensure they stay in place, especially over the head and foot ends. I also really like how the quilt “shell” wraps completely seals around the hammock. 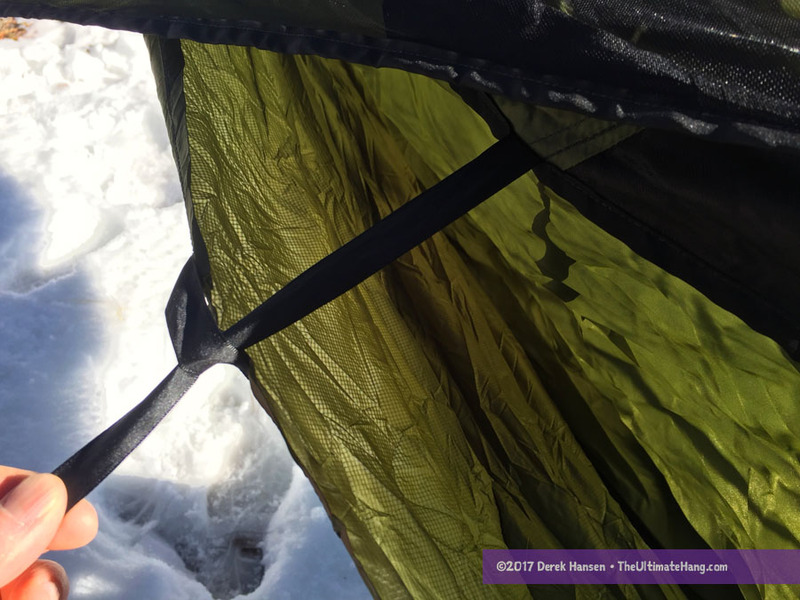 This is the second big issue with traditional underquilts where creases in the hammock can be difficult to seal, leading to heat leaks. I’m only 70 inches tall, so the underquilt should completely cover me. However, when I lay in the Blackbird, I found I wasn’t centered head-to-toe exactly under the quilt. Depending on how I set up the hammock, my feet extended an inch or two off the quilt. This misalignment is a minor issue based on how I lay in the hammock and how the underquilt was designed. 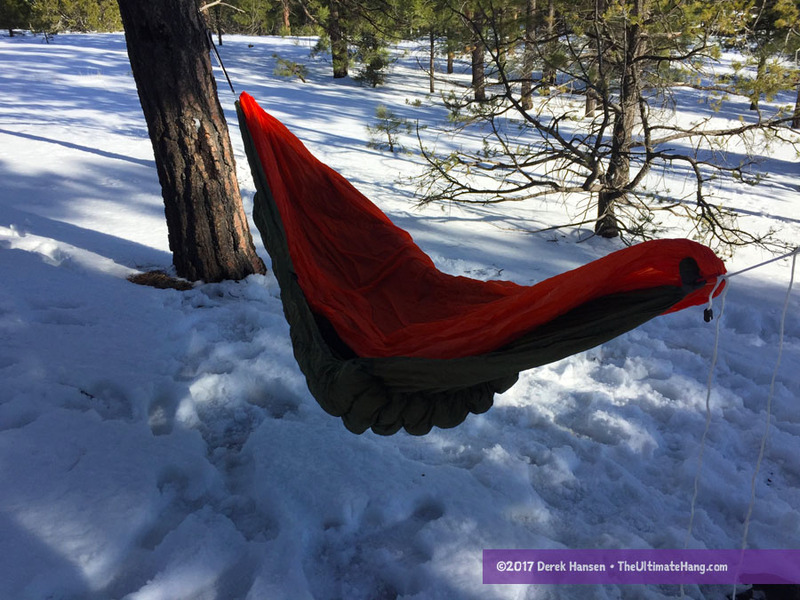 By raising the hammock foot end higher and scooting my body toward the head end, I could adjust myself to fit the quilt. But this, to me, is one of the tradeoffs of this design: there is no way to adjust the quilt’s location. The good news is that the mismatch is minor, and may not be an issue for most people. It really depends on how you set the hammock and how you prefer to lay in a hammock. I like to have my torso more centered in a hammock, giving my shoulders the widest area in the hammock fabric. The other minor issue I found with the Wooki is that I wish there was a small amount of shock cord along the edges of the quilt to tighten up the sides. This is something I can add later as a DIY project by inserting some 3/32″ shock cord in the hem. Will the Wooki Fit Non-Warbonnet Hammocks? Yes and no. 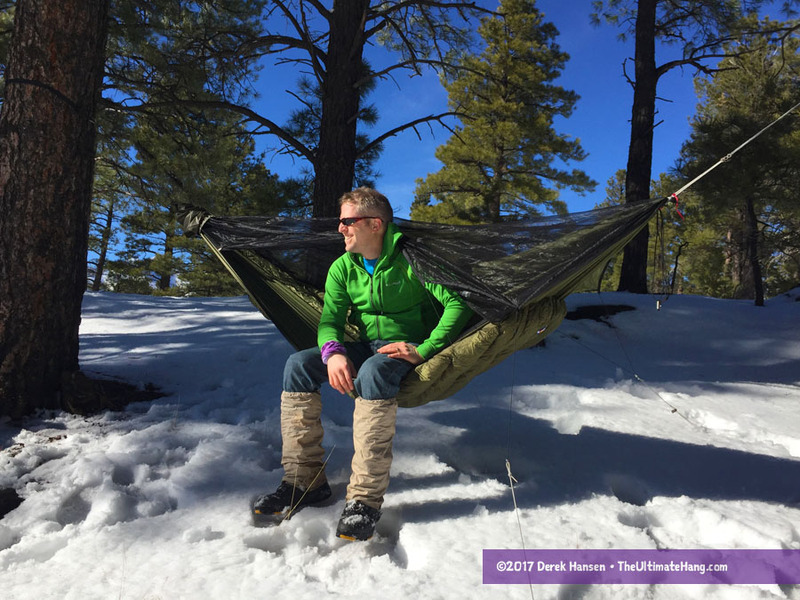 Any hammock that shares the same dimensions as the Warbonnet Blackbird of Traveler hammocks will work, but any variation outside of that will require some modification. I successfully used the Wooki on longer hammocks by adding some shock cord to the ends of the underquilt shell. 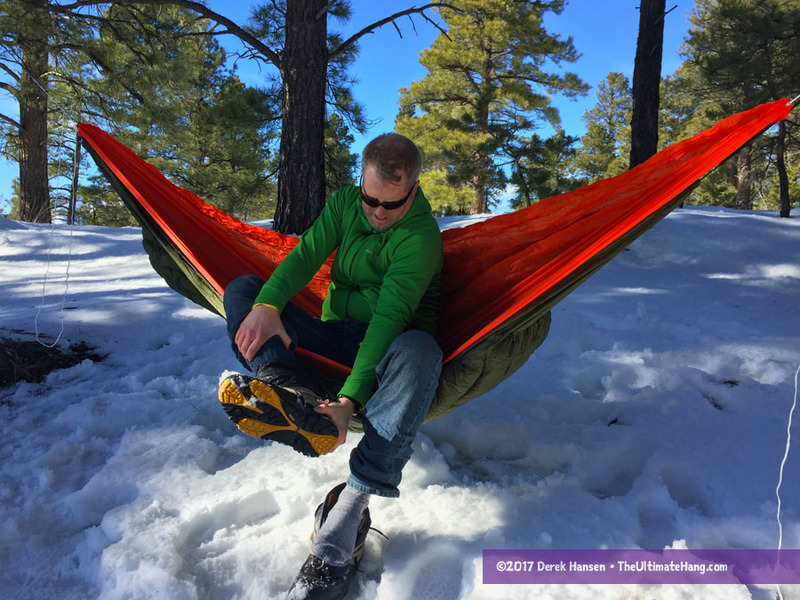 In my testing, the seal still works great on off-brand hammocks, and the shock cord allowed me to adjust the quilt to better fit where my body lays. The Wooki on an 11-foot hammock. The wooki without a hammock. If you are expecting to use the Wooki with an off-brand hammock, be prepared to make some minor adjustments. 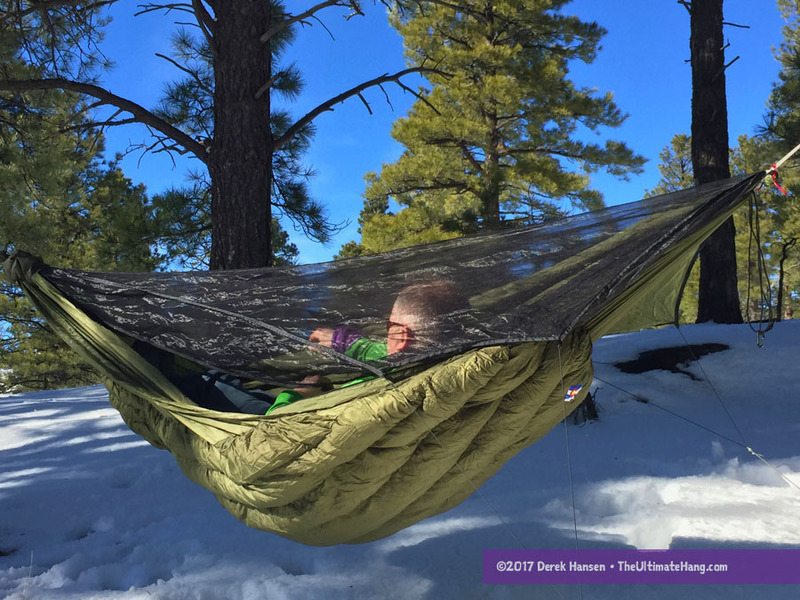 NOTE: The underquilt is NOT designed or rated to hold human weight. Do not attempt to hang and use the underquilt as a hammock. Suspension and Anchor System ♥ ♥ ♥ ♥ ♥ Everything included to set and work the first time. Construction and Craftsmanship ♥ ♥ ♥ ♥ ♥ Excellent build quality, as expected. Price and Value ♥ ♥ ♥ ♥ ♥ The price is on par with other full-length under quilts. EXCELLENT review Derek. It sounds like they’ve got this almost perfect, and they’re using water resistant down to boot. Given that I have a Warbonnet XL, I think I’ll be investing in one of these. One thing about the review itself. The pics are way messed up. It looks like the “thumbnails” are massively inflated. When I click on them, then I get a good picture. Weird, very weird indeed. In your opinion would you recommend the wookie to a new to Hammock camping guy over an incubator?